Recently, I’ve faced an odd behavior with VMware vCloud Director, when uploading virtual machines with OVF format to my vCloud Organization, the process did not complete as expected. When importing the vApps directly to My Cloud the messages says, “failed to create”. When importing the vApps directly to Catalog the messages says, “Quarantine Expired”. vCloud Director has the ability to quarantine the files users are uploading to the system for further investigation before making them available. It’s a perfect use case if you want to scan the files with an antivirus solution for instance. OK, let see how it works. 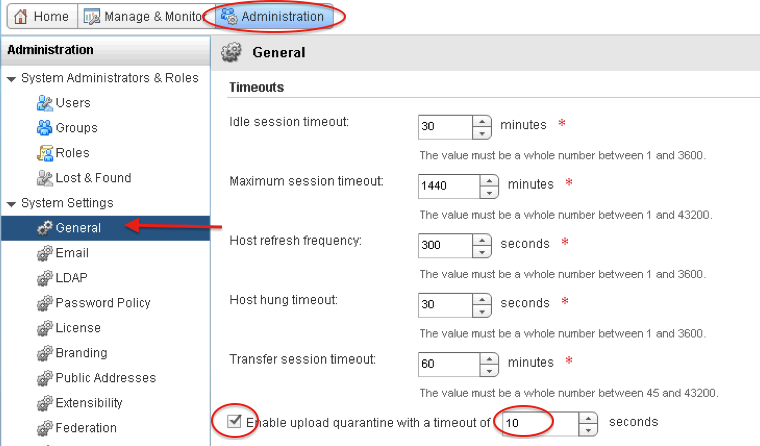 - Scroll down to Timeouts, enable the Quarantine option and set the timeout for it. Now you can go ahead and upload your OVF. When you upload it directly to My Cloud, the vApps status will be Pending. If not action is taken, after the time period you set up for timeout, the upload fails and the status change to Failed to Create. When you upload it directly to a Catalog, the vApps status will be Quarantined. If not action is taken, after the time period you set up for timeout, the upload fails and the status change to Quarantine Expired. It worths to mention that while the item was quarantined, it was not available to others users deploy it. As you can see by browsing the Catalog. This post is not intended to show how to create a monitoring/quarantine solution for vCloud (may be in the future), it’s just about to create awareness of the feature instead. 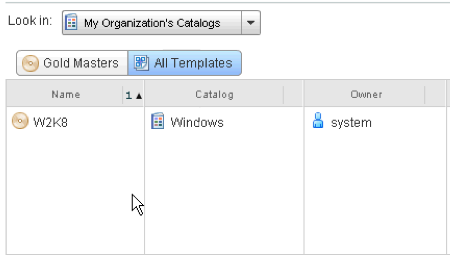 The vCloud Director Admin Guide has a section about Monitoring Quarantine Files. During my research I found a blog post from Magnus Andersson, which stats this feature was not working because it has been deprecated in favor of API and blocking tasks. While I’m not here to doubt about his information, I want to show that in fact this feature is working on my environment, may be because I’m using vCloud 5.5 and someone might have fixed it (Magnus was using vCD 5.1.2). I will also try to confirm internally if this feature was been deprecate indeed and I’ll let you know.